As we continue to spread heart disease awareness throughout February (National Heart Month), I think it’s important to recognize those women who are leading the charge to make heart health a priority. One of these amazing ladies (and my main inspiration behind the Helping Hearts bracelet in partnership with WomenHeart: The National Coalition of Women With Heart Disease) is Kathy Kastan LCSW/MA Ed. On February 10th she receives one of the most prestigious honors: The Woman’s Day Red Dress Award (important to note: she will also be the first patient advocate ever to receive this honor). I met Kathy last year at a “Go Red for Women” luncheon in Memphis. She was signing copies of her “WomenHeart’s: All Heart Family Cookbook”, of which Kathy is a co-author (available on Amazon.com). Well, we got to talking about the importance of heart-healthy super foods and their crucial role in heart-disease prevention. She told me the premise of her cookbook was that all recipes include at least three heart-healthy super foods. After our initial chat, we met for coffee a few times and became friends, realizing that we knew many of the same people. But I also learned that this person is a leader and a game changer, yet is totally devoted to her family (married for 29 years and mother to three sons ages 23, 19 and 18). 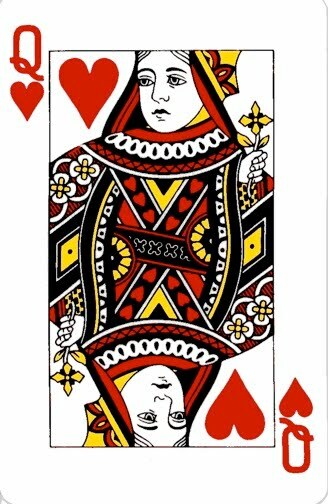 In other words, she is a woman to emulate because she’s achieved national success without sacrificing a balanced life. Chelsea: Kathy, you were President of the WomenHeart Foundation. What motivated you to get so involved in the organization? 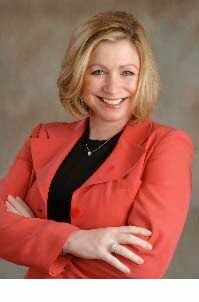 Kathy: I was president of WomenHeart: The National Coalition for Women with Heart Disease for 4 and a half years. I am now past president, emeritus for WH’s board of directors. I’m also on the Memphis Board of the American Heart Association and have been with that body about seven years. I’m a spokesperson for the Heart Truth Campaign, which is a national outreach program funded through the National Heart, Lung and Blood Institute. Well, how did I get involved? It started with an almost two year heart-health crisis that began at age 41 with misdiagnosis and treatments that caused complications. This led to my emergency bypass surgery at age 42. Believe it or not, I was still sick after bypass, but instead of having occasional symptoms with exercise, I had chronic, unrelenting chest pain. I was popping Nitroglycerin like candy. My three young boys were terrified I might die. My husband and father, who are academic doctors, were frustrated they couldn’t help me. Then through absolute luck, I found WomenHeart. I realized I wasn’t alone. I learned that each year there are thousands of women who are misdiagnosed, have delayed diagnosis and inappropriate treatment. And, that heart disease among women is more common, more fatal, and less understood than heart disease in men. I was referred by WH to a third cardiologist who had treated female patients. The cardiologist put me on a medication regimen that worked! In a few weeks I felt better and in a few months I actually got my life back. You can well imagine that this traumatic health crisis changed my life and the life of my family and friends forever. I was lucky; I survived. I knew I needed to give back, to affect change, to make a difference, even if it meant helping one woman at a time. WomenHeart, the Heart Truth Campaign and American Heart Association gave me the platform to do just that. We have made a difference for women and their families. We have come a long way in this movement by improving women’s awareness of the #1 killer of women but we still have a long way to go. Chelsea: How have your daily habits changed since having Heart Disease? Kathy: I always thought of myself as healthy. I’m average weight, don’t smoke, don’t have high blood pressure and always have been into exercising. But when I went to a dietician, I realized that there were foods I was eating that were not healthy for me like margarine. I learned about the importance of fiber, to eat less processed foods, to read labels for content and to increase the amount of fruits and vegetables I put into my diet every day. I also started taking vitamins, such as fish oil and a multi. Meal changes were a tough adjustment especially for my children. But once they knew this was for their health too, they adjusted and probably eat healthier than I do now. Chelsea: What are some major misconceptions the general public holds about Heart Disease? Kathy: One misconception is that heart disease symptoms in women are the same as in men. Over 50% of us do not have the classic heart attack symptoms. We are just as likely to have GI upset, upper back pain, fatigue and mouth pain as to have the classic symptoms of chest pain, left arm pain and shortness of breath. The one common symptom women do have is shortness of breath. WE ARE NOT LITTLE MEN. Our physiology and anatomy are different then men, so our diagnostic and treatment needs are also frequently different. Another misconception is that you have to be an obese, sedentary, older, smoking woman to have heart disease. I was 41, athletic and healthy. My risk factors were never discussed with me. My major risk factor was my family history. Women need to know their risk factors for heart disease and know their numbers, so they can be proactive in modifying their risk. Most risk factors such as smoking, obesity, sedentary life style, blood pressure and cholesterol we can change. However, some risk factors we can’t, such as our age, our family history or if we’re post-menopausal. The good news is through diet, exercise and taking prescribed medications, all of us can lower our risks. Chelsea: If you had to give women at risk of heart disease three “must do” heart-healthy tips for disease prevention, what would they be? Kathy: I’m going to give your four: Get moving, learn to manage your stress, eat healthy and take your prescribed medications. Be proactive and don’t take your health for granted. Your body can and will only take so much abuse. All of us know what we’re supposed to do, but it’s changing our unhealthy behaviors and committing to ourselves that’s the hard part. Women are notorious for prioritizing everything else in their lives and not their own health. We need to readjust our priorities. Women need to be assertive and make sure they discuss their risks for heart disease with their health care providers. Chelsea: What is the Woman’s Day Red Dress Award, what does it stand for, and who are some winners of years past? nter on February 10 and the event is a fundraiser that benefits the Larry King Foundation. Larry’s foundation gives funds to heart patients who are uninsured or under-insured for their cardiac care. Most previous winners are prominent cardiologists, organizational leaders, public figures and notable individuals from the media and fashion world. Some recognizable names include Laura Bush, Lois Capps, and Fern Mallis. To learn more about the upcoming 7th annual Woman’s Day Red Dress Awards, hosted by Emmy Award winner Sherri Shepherd with appearances by Mary J. Blige, Larry King, Tim Gunn and Colbie Caillat, please click here. I wish Kathy the best of luck during her series of events in NYC this upcoming week! Ms. Kastan, we can’t wait to see pictures of you in your red dresses! Her first book “From the Heart: A Woman’s Guide to Living Well with Heart Disease” was published in 2007 by Da Capo Lifelong Books–a member of the Perseus Books Group; the paperback edition was published in January 2008. 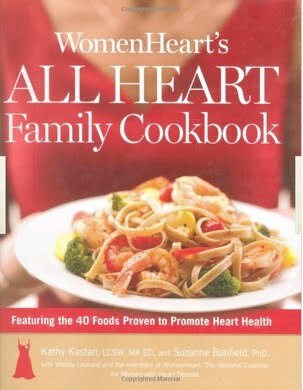 “WomenHeart’s All Heart Family Cookbook,” of which Ms. Kastan is a co-author, was also published in January 2008. Ms. Kastan is also an invited and frequent blogger for the Huffington Post. Look for more “heart-esque” topics throughout February. As always, keep counting. OOOOzing inspiration!! It's women like Kathy who deserve to be recognized as the authentic backbone of our society. I LOVE what she said about women not being "little men". It's very very true and our needs are different. I also can appreciate that thinking we're eating healthy and then learning from an expert that we're not as healthy as we thought are very important points.